Fudgy Cream Cheese Rolls — Pip and Ebby - easy, delicious recipes! These rolls are insanely easy to make. And they are yummy. I don't think they lasted 25 minutes in my house. Did I mention that I am going to California today? I AM GOING TO CALIFORNIA TODAY! Hi! My name is Megan. I live in Minnesota. I live in a cold climate and I love seeing the ocean. And I am going to California today! 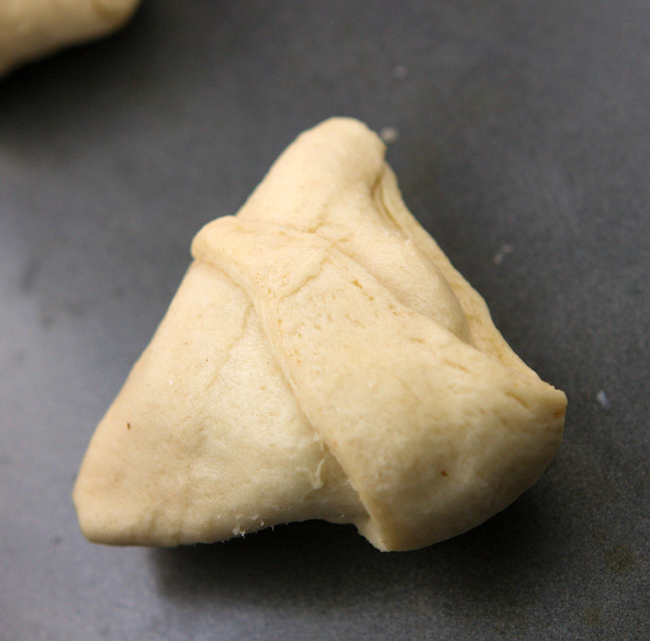 Roll out 8 crescent rolls onto an ungreased baking sheet. In the center of each piece of dough, place one 1/2-inch cube of peanut-butter-chocolate-marble fudge along with one teaspoon of softened cream cheese. Wrap each roll by folding in each of the 3 corners, saving the longest corner for last. Wrap it around the entire roll and pinch all seams together. Bake in the preheated oven for 10 to 12 minutes, or until golden brown. Serve warm! I'm off to enjoy the California beaches! These rolls are insanely easy to make. And they are yummy. I don't think they lasted 25 minutes in my house! Preheat oven to 375 degrees F. Roll out 8 crescent rolls onto a baking sheet. In the center of each piece of dough, place a piece of fudge and a teaspoon of cream cheese. Wrap the rolls by folding in each of the 3 corners, saving the longest one for last. Wrap it around the entire roll and pinch all seams together. Bake in the preheated oven for 10-12 minutes, or until golden brown. Serve warm.